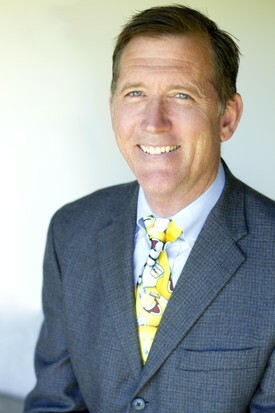 Dr. Gerald Schneider graduated with honors from the University of the Pacific Dental School in 1982. He was accepted to a highly competitive General Practice Residency Program sponsored by the U.S. Air Force at Langley A.F.B. in Virginia where he completed intensive postgraduate studies. Dr. Schneider served as an Air Force officer for 6 years, providing dental care to service members and their dependents. In 1988, Dr. Schneider was proud to return to Visalia to start his dental practice and move back to the family orange ranch after his father passed away. He continued to serve in the Air National Guard where he retired with the rank of Colonel in 2007, after commanding the Medical Squadron of the 144th Fighter Wing. Dr. Schneider is very proud of the excellent staff he enjoys working with every day (well, almost every day…). They celebrate 25 years of serving their dental patients in Visalia, where providing care in a friendly, clean, comfortable, modern, and efficient manner (we pride ourselves in our “on time” success rate) is the focus. Dr. Schneider continues to stress the importance of continued professional education for the entire office and he personally enjoys taking lots of classes that focus on cosmetic, prosthetic, restorative, and preventive dentistry. He is a member and past president of both the Tulare-Kings Dental Society, and the Visalia Rotary Club. He is also a member of the California Dental Association, American Dental Association, the OKU Dental Honor Society, the Elbow Creek Grange, and the Visalia United Methodist Church. He and his wife, Nancy, have 3 children – Jonathan, Karin and Kristine.